This addition to the Elementi range has fast become a pantry staple. 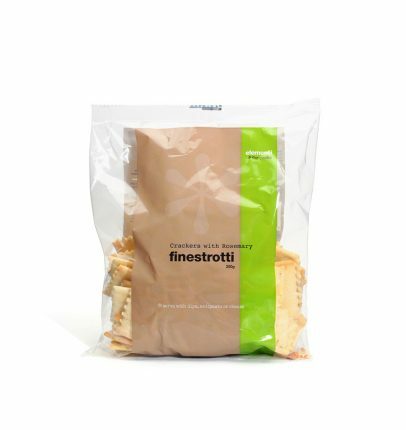 Finestrotti (translated as â€˜little windowsâ€™) are an all-natural wheat savoury biscuit made with added rosemary (9%). A wonderful accompaniment to antipasti platters, or serve with spreadable cheeses such as goatâ€™s milk cheese. The best eCommerce software by ShopFactory powers P503. All-in one eCommerce and shopping cart software.